﻿This post will tell you about the basic types of variables. 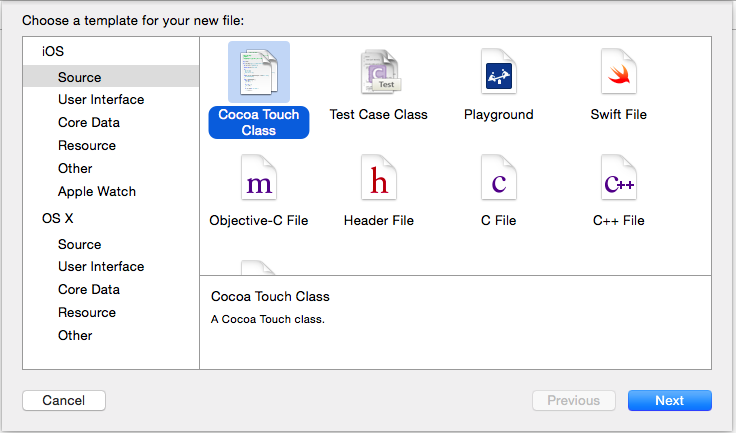 First of all, there are no semicolons in Swift (*does the happy dance*). That means no more endless searching for that one semicolon that you missed that messed everything up. but there is a better way to do this. The colon! You can declare the type of variable using a colon after the variable name. var str1: String = "Definitely Rainbow Unicorns"
At times, however, you know you need a variable, but you don't want it to have a value yet. For example, if you want a user to sign up for an account on your app, you know that user is going to create a username and password. 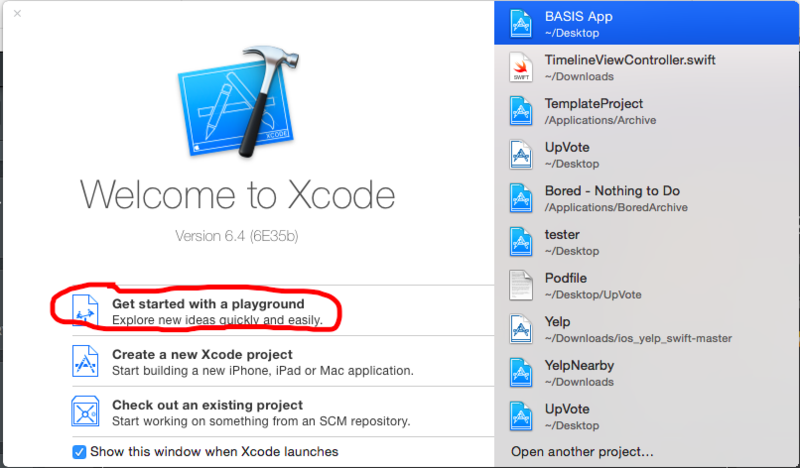 Lets look at the first option you are given when you open xCode: Get Started With A Playground. Go ahead and name the playground anything you want. 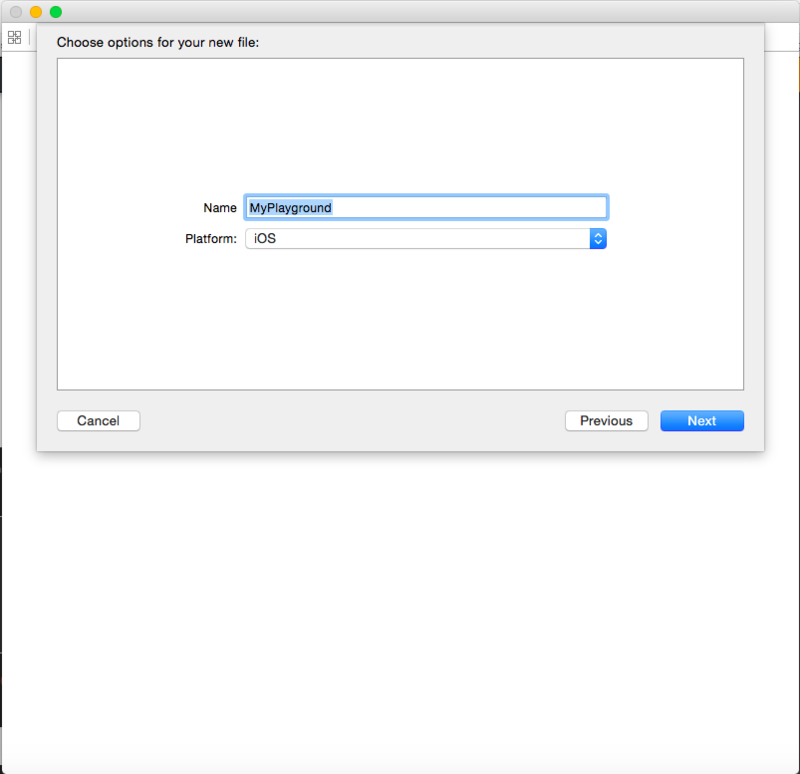 You want the platform to be iOS because OS X is a much older platform, and most apple devices no longer run it. However, it doesn't really matter because this is a playground. before you click next, or you will get a strange disembodied part of an app that does nothing, rather than an actual playground. However, there may be no files in the square on the right. Once again, that is because I have previous xCode projects, while you probably do not.